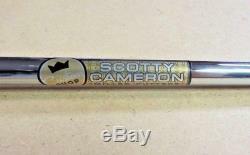 Scotty Cameron 2016 Select Newport 2 Notchback CUSTOM SHOP Golden Touch 35" H " Putter with Scotty Cameron Black Matador Midsize Grip - Right Handed - Putter Has Made a Trip to The Scotty Cameron Custom Shop & Has Received The Golden Touch from Gold Paint, Scotty Cameron Custom Shop Gold Shaft Label , & Scotty Cameron Black Matador Putter Grip - Precision Milled 303-Stainless Steel Head with 6061 Aircraft Aluminum Face Sole Technology - Classic Newport 2 Styled Head With Notched Flange with Singled Bend Shaft & Full Shaft Offset - 3.5º of Loft - 35.00 in Length with Two 15 Gram Weights in Sole (Heavier Than Stock)- Scotty Cameron Select 16' Headcover Included.. 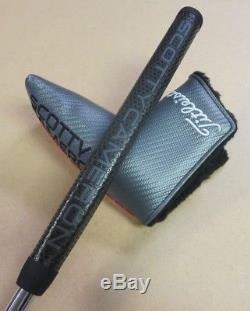 Please Note, These Putters Are New, They Have Pulled Off the Sales Floor & Sent InTo The Scotty Cameron Custom Shop For Custom Paint-fill, Custom Shaft Label, Custom Cameron Putter Grip - Please Look at All Pictures, Putters Are As Shown. 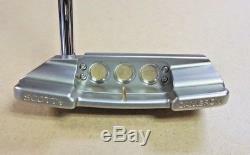 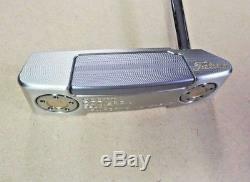 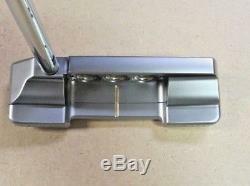 Sorry But UPS Will Not Deliver to P. The item "Scotty Cameron Custom Shop 16' Select Newport 2 Notchback Golden Touch 35H New" is in sale since Monday, May 7, 2018.